This Life Skills Keynote inspires students to develop self-esteem and confidence and to achieve more through effective goal-setting. Its powerful message helps students adjust to the mental stress and eliminate the homesickness often experienced by college students. The “Happy College Life” program incorporates interactive exercises that allow participants to share their experiences and focuses on helping students develop competence in managing their personal affairs, goal setting and achievement. • EVALUATE their past achievements and DUPLICATE those steps in the accomplishment of new goals. • LIST reasons why they should make their lives memorable and IDENTIFY how making their lives memorable will benefit them in the future. • CRITIQUE their past experiences and FORMULATE strategies to deal with whatever challenges life presents. • REMEMBER several of the "12 Happy Life Secrets" and INTEGRATE them in the development of their personal attributes. Herb’s inspirational message empowers students to overcome any obstacle, take control of their present, and look forward to the future. They learn to deal with conflicts and enjoy the fun aspects of college. Herb draws on past experiences to instill in students that a happy and prosperous life is possible no matter what your circumstances. 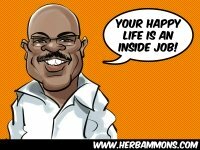 With honest candor Herb excites, informs, entertains and equips students with the self-empowering knowledge that ..."Your Happy Life is an Inside Job!" This keynote/breakout is 15-60 minutes long and is customized based on the occasion. 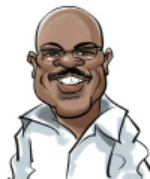 Herb Ammons brings a fresh approach through inspirational messages and an inspiring take on life. College students love Ammons style. 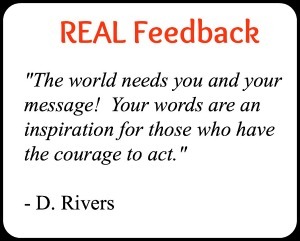 It resonates with students and adults alike. Many students have told Ammons that they turned a mental corner after hearing him speak.